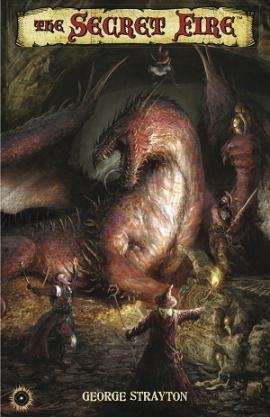 Winner of the 2012 Innovative Game Design Award from I-CON 31, THE SECRET FIRE™ uses a unique blend of game design and storytelling to create a fast and flexible original fantasy game system of roleplaying, exploration, and constant danger. Developed by Origins Award®-nominated game designer George Strayton (Dungeons & Dragons, Men in Black, Star War D6, Indiana Jones, The D6 System, The Lord of the Rings, etc. ), TSF’s revolutionary “immersion” mechanics (screenwriting plus fantasy RPG game design) to breathe real life into the experience of descending into dungeons, exploring the uncharted wilderness, and saving the innocent from certain doom. This title was added to our catalog on August 10, 2011.